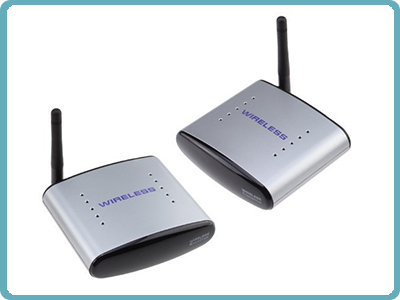 The product consists of a transmitter and a receiver. It adopts an advanced 2.4GHz wireless transmission scheme and has the advantages of a long transmission range, strong anti-interference and high mobility. It can transmit AV signals of DVD, DVR, CCD camera, IPTV, satellite set-top box, digital TV set-top box and other similar devices, by means of radio waves and receive them at distant end and input them to a TV set to be displayed. Moreover, the IR remote controller can be used at the receiving end to realize the function of wireless control of devices from another place. 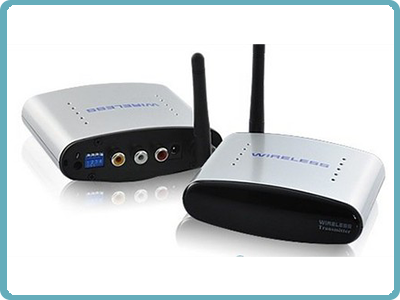 It enables you to easily realize wireless sharing of HD AV data and enjoy untrammeled hi-fi audio and visual effects. Can transmit across a wall about 30 meters. The maximum common walls on three sides within every use, transmission distance of 12 meters. When the specific application in the set-top box, regardless of the number of receivers, received the same picture, same channel.